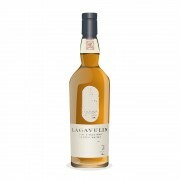 This 25-year old was released to commemorate the 200th anniversary of the founding of Lagavulin distillery in 2016 (an 8-year and an 18-year old were also released). It was matured exclusively in ex-sherry casks and was limited to 8,000 bottles. This review refers to bottle no. 3,851. The nose starts off with flavours familiar from the 16-year old flagship: brine, sweet spices, a touch of iodine, and plenty of smoke. Then, and quite suddenly, the influence of the sherry casks comes through and there are flavours of figs and prunes, followed by smoked ham, orange peel, leather and cardboard. With water the emphasis is on leather and coffee notes, now accompanied by a hint of cereal and porridge. Wow, that is quite some nose! The palate is medium-bodied and oily. Smoke (of the dense campfire sort) comes out of nothing, explodes into a cloud and rolls in waves over the tongue, then turns sooty. Sounds exaggerated but is true enough. After this 'wave of smoke' there are flavours of lemons and honey, followed by leather and smoked ham. With water the smoke becomes even sootier, and there is a hint of peppermint. The finish is long and sooty. Notes of honey and leather last to the very end. I will be very open about this: My review is based on a 4cl sample I spent half an hour with at my favourite whisky bar in Kobe/Japan. The owner asked 5,000 yen for it (about 45$), which seemed like a fair deal. I would have preferred to have a whole bottle at my disposal, but then you know, prices are what they are. Honestly, I am glad enough to have been able to taste this at all. What I can say based on my 30 min session is that I was pretty stunned by the nose and the palate. This is like a regular 12-year old and 16-year old combined and put on steroids, a real rollercoaster of flavours of the (very) pronounced kind. 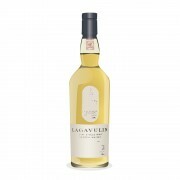 Hat tip to Lagavulin for this! Wow. This sounds pretty ballin'. Nice choice for a dram! How much would I bet that one 25 YO is more expensive than 3 8 YO or 2 12YO? Maybe it's good that these are rare and hard to come by. One really appreciates them more when they turn up. @Pierre_W, thanks for an enticing review. You got a very good price on your sample dram. 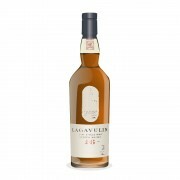 @Nozinan, $ 1,242 average world wine-searcher.com price buys a lot of 8 and 12 yo Lagavulin. Sure, that's the secondary market. Some people may have bought bottles for as little as $ 800. Yeah....if I ever win the lottery I buy 5. One for each of us. Of the anniversary bottlings, the only one that I could afford was the 8, so I got two. The 25 sounds fabulous, but just another deep pocket dram that would have to be twice as good as the 12 or the sixteen to justify its being twice the price of either of those stalwarts. And, really, is it possible to quantify quality? Advertisers like to tell you that it is: X product is guaranteed to make your skin 20% softer or your money back. How would you know if you only got a 17% increase in softness? I think I might have rambled off on an irrelevant tangent here so I'll sign off now. Nice review, though @OdysseousUnbound. @BlueNote , I tried Haig Club once, and it only made me 17% douchier. False advertising! @MadSingleMalt So you didn't look at yourself in the mirror and see David Beckham after that?